Hair accessories manufactured by Ladybug Bows are made with a variety of high quality fabrics, ribbons, buttons, laces, flowers and other materials. Sizes and shapes of the accessories can be adjusted to work with a variety of hair types and needs. 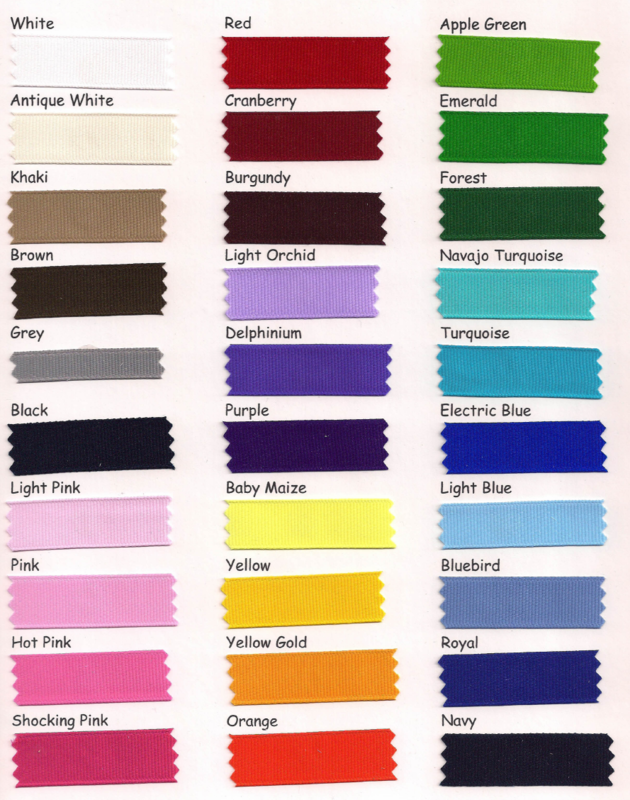 Shown below are samples of the ribbon colors used to make our unique bows.